Transformation through digital innovation is becoming an imperative for every city. The ‘Smart City’ concept promises to solve the most urgent queries of progressive urbanization in the area of mobility, energy, water supply, security, housing deprivation, and inclusion. Despite the exploitation of existing potential in lighthouse-cities that include Barcelona, London, Munich, Lyon, and Vienna, the less tenacious pursuit of smart city possibilities in the majority of municipalities has resulted in major discrepancies between leading smart cities and those that are less aspirational. Although the necessity of action is frequently recognized, an appropriate path of action remains obscure. Smart Cities: Introducing Digital Innovation to Cities offers answers, with clarifying examples, to questions that have remained unanswered for many cities. 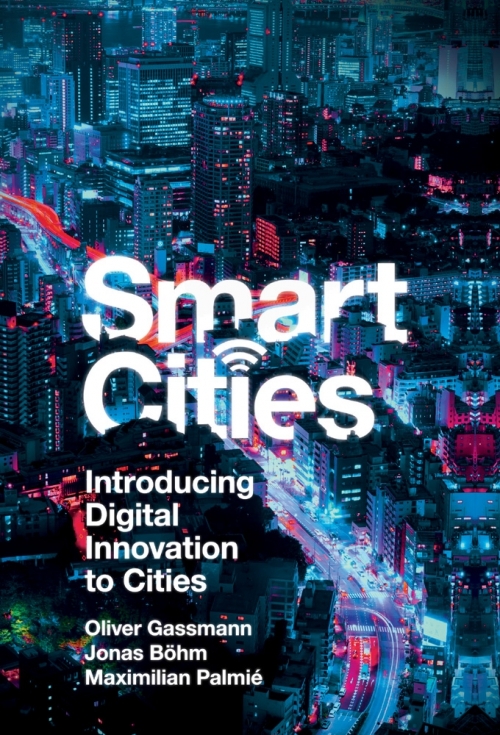 The book identifies and addresses the core elements and potential of smart cities, best practice methods and tools to be implemented, as well as how diverse stakeholders might be effectively integrated. Based on perennial international research in the field of smart cities, this book brings together the authors' collective experience in practice-based political, administrative, and economic projects to provide a common framework to guide and engage key stakeholders in the transformation and realization of smart cities. Oliver Gassmann is Professor of Technology and Innovation Management at the University of St. Gallen and Chairman of the Institute of Technology Management. His research focuses on success factors for innovations. Jonas Böhm is a PhD Student and Research Associate at the Institute of Technology Management and assists national and international smart city projects as a coach and researcher. Maximilian Palmié is Assistant Professor of Energy and Innovation Management at the University of St. Gallen, where he heads the Energy Innovation Lab. This lab focuses on the management of business model innovations and new technologies in the energy industry. ‘Municipal utilities not only construct and operate essential digital infrastructure, but also new services for a smart city—from waste disposal “on demand” to electromobility. This book can especially assist small public utility companies in their efforts to develop and realize a strategy for their smart city.’ - Katherina Reiche, General Manager of Verband kommunaler Unternehmen e.V.